eBay has surprised no-one with the news that it is to sell its controlling interest in communications company Skype in a deal which values the company at more than $2.75 billion (£1.70 billion). The auction specialist surprised many with the announcement back in 2005 that it was to buy VoIP outfit Skype, with many wondering exactly how much of a fit the two companies could be. Today we find our answer: a terrible fit. Integration between the two companies never got much past a "contact this seller" button on eBay auctions, and many have considered Skype to have stagnated under eBay's ownership. The current deal, as reported by BetaNews, sees eBay receiving $1.9 billion in cash along with a promissory note for a further $125 million from a group of private equity firms - including Netscape founder Marc Andreessen's latest venture - in return for 65 percent of the company, with eBay retaining a non-majority 35 percent share. While the money flowing eBay's way is certainly not to be sniffed at, it doesn't exactly represent a profit: when eBay agreed to purchase Skype it spent an estimated $3.1 billion in cash, shares, and a performance-based bonus paid out to the company's founders. 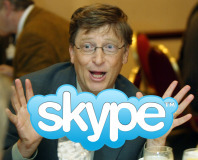 Egon Durban, managing director of one of the venture capital firms involved - Silver Lake - described the sale as offering the opportunity to "accelerate the growth of [Skype's] business by harnessing the deep technological and company development expertise that resides within the investor group." 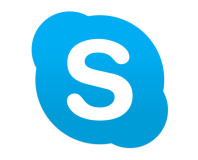 The news is likely to irk Skype founders Niklas Zennstrom and Jenus Friis, who had made it clear that they were in the market to rescue Skype from eBay's clutches. Now that the venture capitalists have their hands on the company, any buyout from its original founders is likely to be very expensive indeed. Do you believe that eBay should cut its losses and rid itself of the final 35 percent of Skype, or does the company still have an opportunity to make a profit with the VoIP technology behind Skype? Share your thoughts over in the forums. Applies only to goods in its Deals programme. 400 jobs for the chopping block.